Ben Wade, a former LAPD detective now working homicide in the southern Orange County town of Rancho Santa Elena, is forced to confront his own dark past in investigating a series of killings. In Southern California detective fiction, the Santa Ana winds portend dire events—as demonstrated once more in Alan Drew’s excellent, atmospheric Shadow Man... The Santa Ana in Mr. Drew’s superb police procedural is especially fierce... People come to this place to escape Los Angeles. 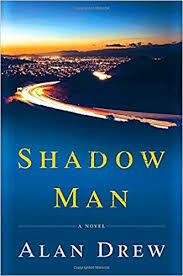 One such person is police detective Ben Wade, raised in Rancho Santa Elena and now moved back after being shot in the line of LAPD duty ... Wade is but one of many sharply etched characters who help make Shadow Man a stellar achievement, a book that unspools like a dark-toned movie in the reader’s mind. Shadow Man by Alan Drew is actually three stories in one book...about the hunt for a serial killer in Southern California...a sexual predator who preys upon young boys...Detective Ben Wade, a man trying to solve the murders and molestations in the first two stories. When you have each story fighting to be the center of attention in the book you get a dilution of each and every one ... Alan Drew attacks each of these situations with a clear eye and much enthusiasm. He really tries to make sure the reader gets the full effect of each of the stories ... As the pages of the book flip flop back and forth to these various plots, the reader’s attention is split and each different plot line is weakened ...ends up being a non-cohesive book which has moments of insight and impact, but also moments where the plot is too scattered to be enjoyed. 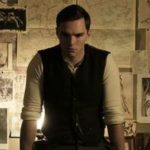 Drew’s cinematic descriptive powers, which he displayed so well in his debut, are on full and wonderful display here, helping to make it an absolute must-read... Shadow Man technically qualifies as a historical novel, given that it is set in 1986 in southern California... The primary story is simple enough. A serial killer is operating in the usually quiet town to which Wade has returned, and it takes the police force as well as the public at large a bit of time to discover that there is a monster in their midst ... Drew’s prose will remind readers by turns of Dennis Lehane and T. Jefferson Parker. This is a remarkable work that you will want to read in one sitting, simply because its author sinks the hook so deeply from its first paragraph that it is impossible to put down until completed. What did you think of Shadow Man?